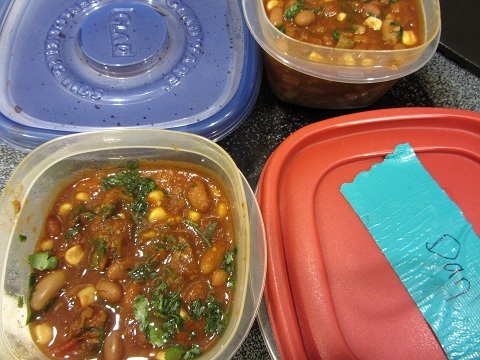 This slow cooker chili recipe is a healthy diet habit and an easy meal to prepare. 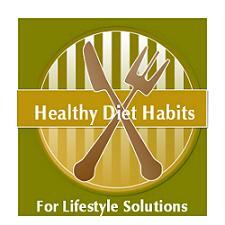 It can be varied according to your taste in meat, beans, spices, or vegetables. You can make it spicy or not, whatever you love! I love chilies that are tasty and find most of them lacking in spices. This is a recipe that is tasty, but not off the charts hot. 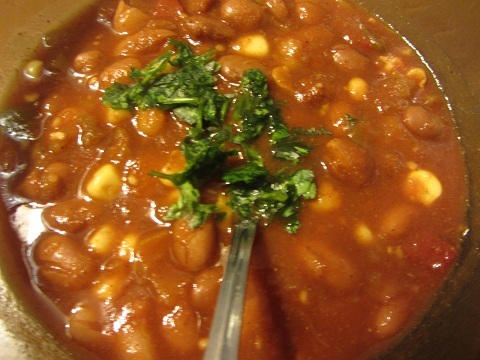 I used pinto beans because that is what I had in my cupboard. You could substitute in black beans or a combination of beans! I have used pork, beef, or gone meat-free, and all variations are good. Grab your Crock Pot from your cupboard. Add all of the ingredients except the chopped cilantro. Cook on high for 5 to 6 hours or low 8 to 10 hours. Add chopped fresh cilantro right before serving. This chili recipe is generic. You can change it up in any way you please. If you do not like cilantro; leave it out. Not a fan of cumin, increase the chili powder to 2T or 3 T. If you need a vegetarian meal; leave out the meat and substitute in vegetable broth. It's a great idea to add more spices than you usually use because the longer slow cooker times tend to dilute the spices. Any way you make it it's good. 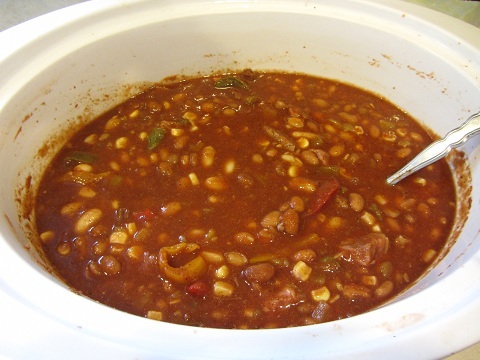 There is nothing greater than whipping up a pot and walking into your home, after work, and having a hearty pot of chili waiting for you. Pair this with a vegetable filled salad, and a citrus salad for dessert!